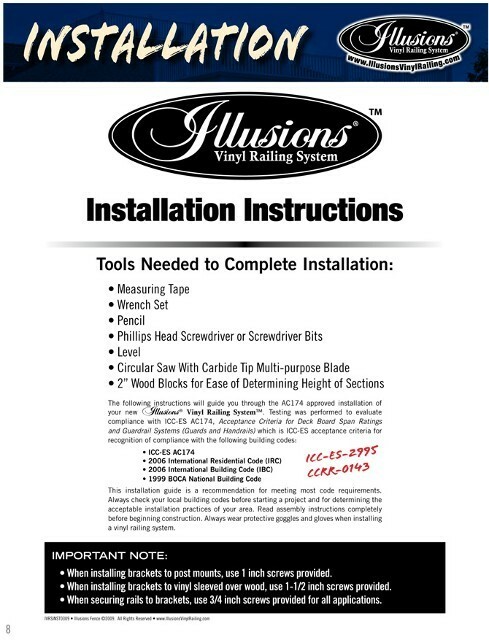 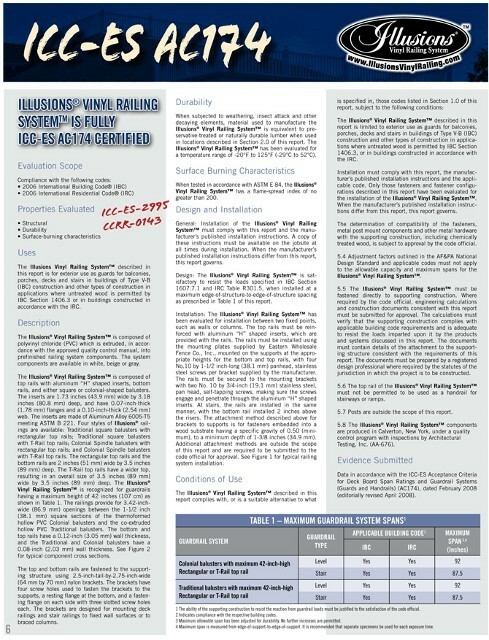 ILLUSIONS VINYL RAILING SYSTEM IS ICC-ES AC174 CERTIFIED SAFE. 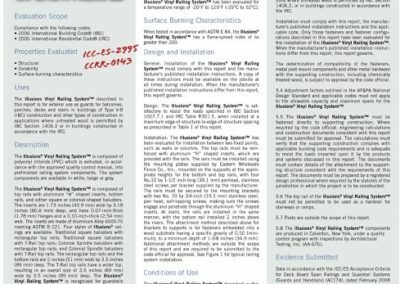 The primary benefit of the ICC-ES AC174 Certification is safety. 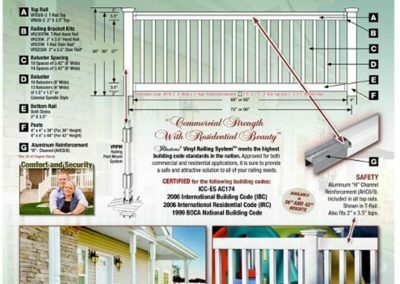 Most locations throughout the country require that decks 24 inches and greater above grade be outfitted with certified deck railing……….not the cheap ‘porch railing’ carried by many home improvement centers. 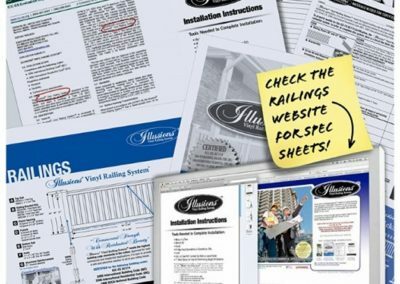 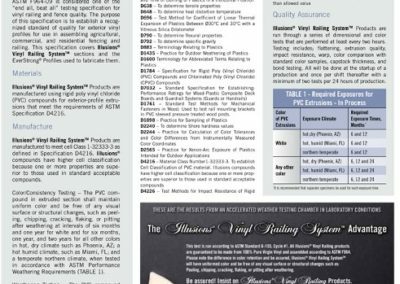 To provide you the assurance that you are buying a product that is safe for all railing applications, the Illusions Vinyl Railing System has been extensively tested by independent testing facilities to pass the most rigorous building and residential codes in the country. 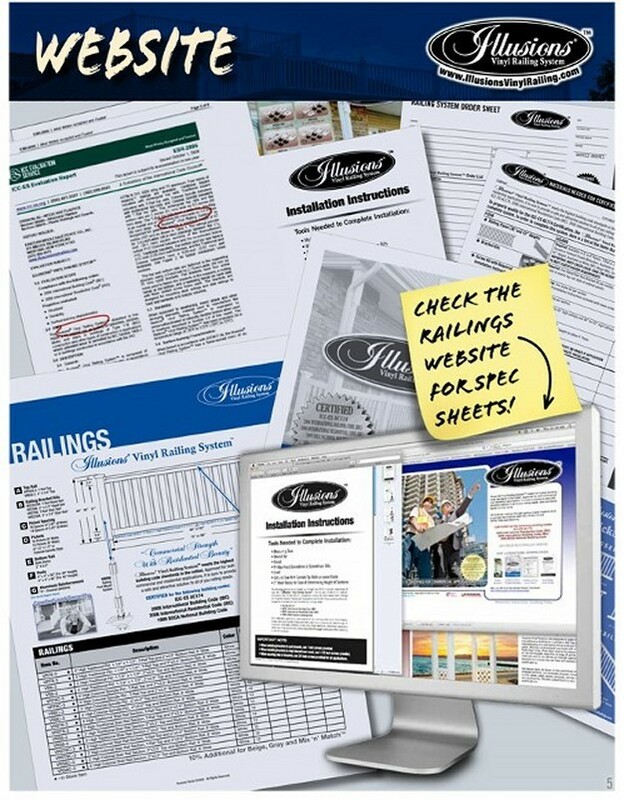 There are many pretenders in the market and you don’t want to get caught with an inferior vinyl railing product. 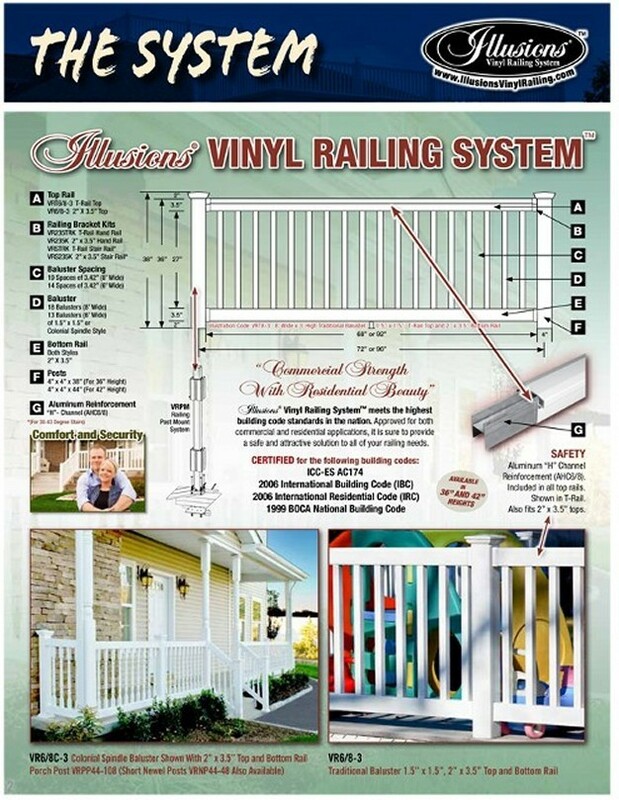 Provide your family with the best possible vinyl railing……. 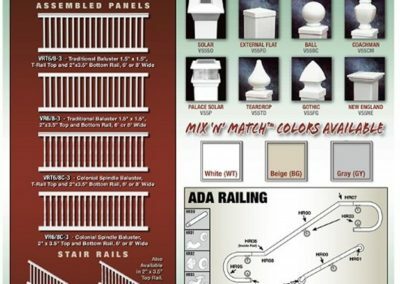 the Illusions Vinyl Railing System. 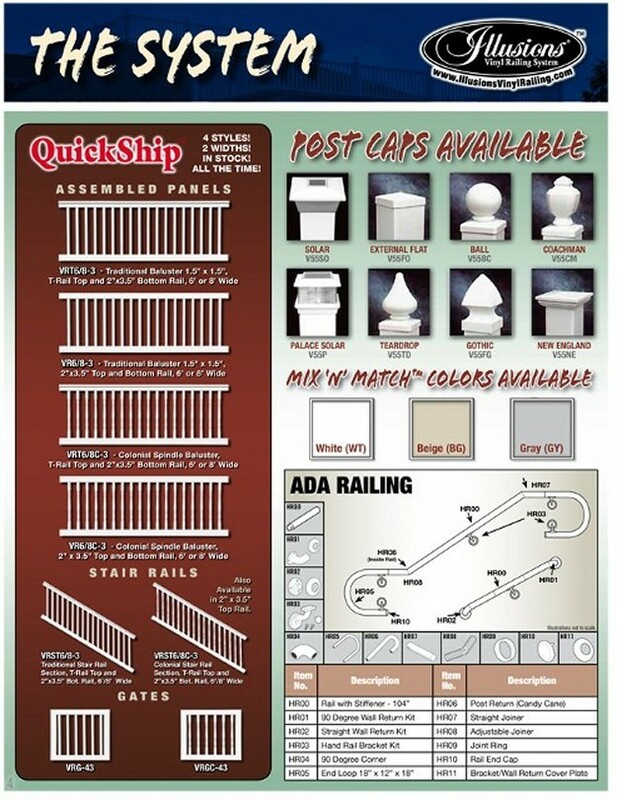 We also carry matching vinyl railing gates as well as a selection of vinyl railing auxiliary A.D.A. 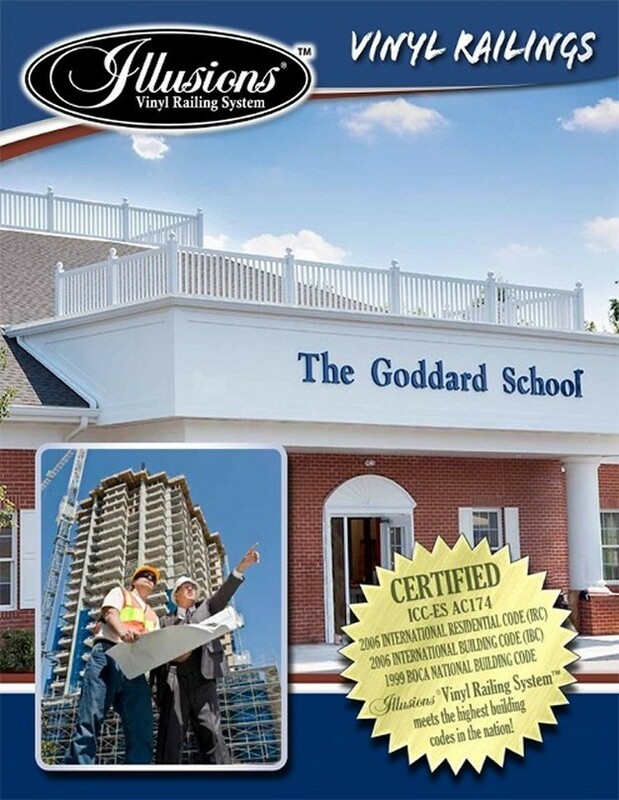 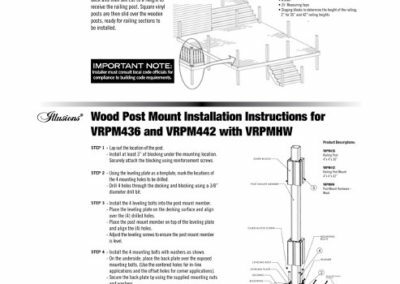 hand/grab rails to make your installation compliant with the latest building code revisions. 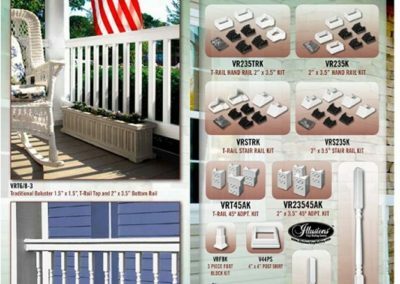 Please visit our ‘Products’ page to see the other high quality fence materials we carry! 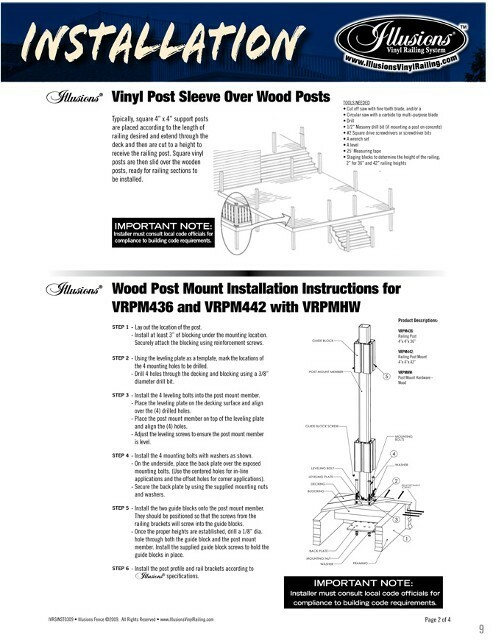 Contact us and request quote for materials or click here for a certifier professional installer in the Hudson Valley area of New York and in northern New Jersey. 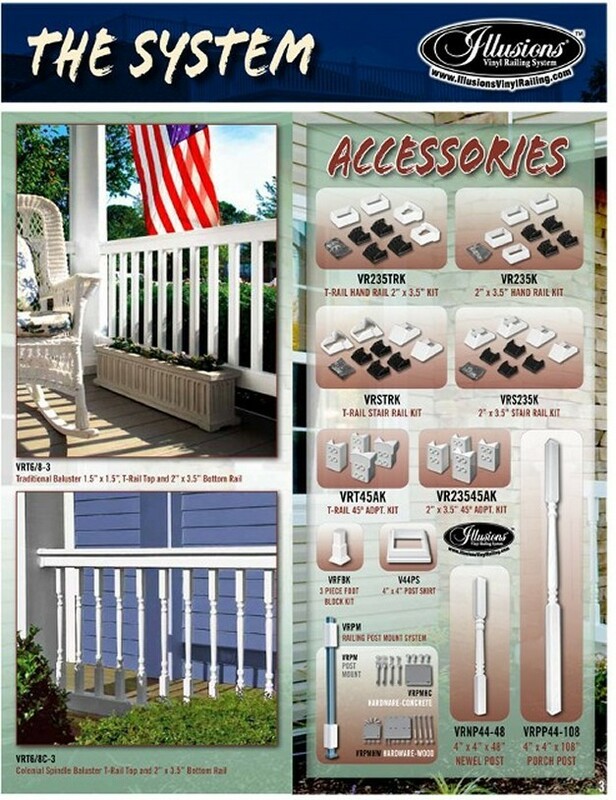 Illusions vinyl deck railing is perfect for use near salt water! 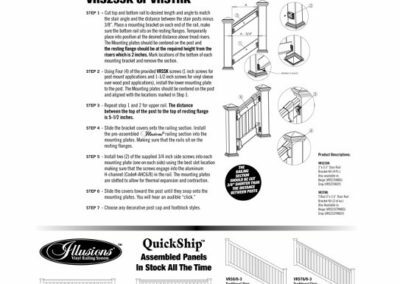 Illusions vinyl railing systems are manufactured at a ‘State of the Art’ facility right here in America with the most astonishing quality controls in the industry! 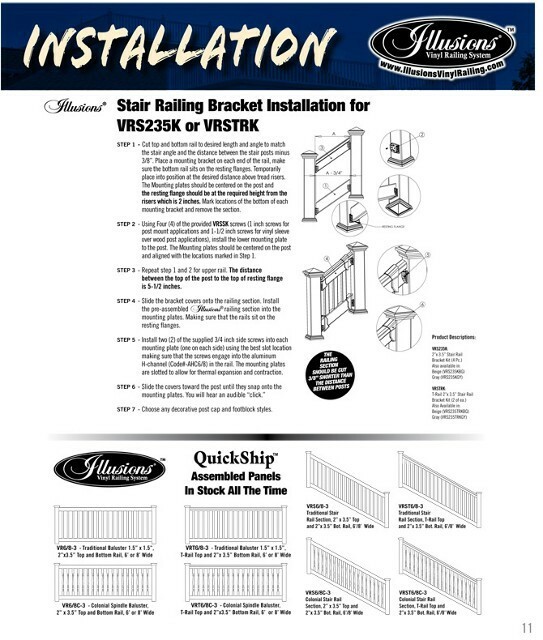 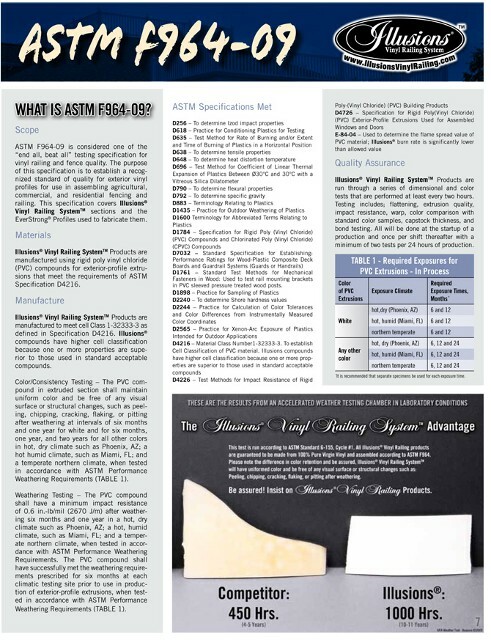 Every single Illusions vinyl railing product is made using 100% virgin vinyl that meets ASTM 964-09 standards. 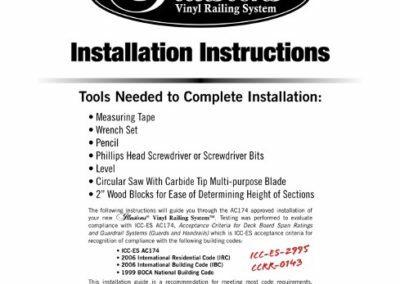 The endorsement of the Vinyl Manufacturers Association gives you confidence that you’ve invested wisely and random inspections by the ICC Evaluation Service assures you of it’s safety. 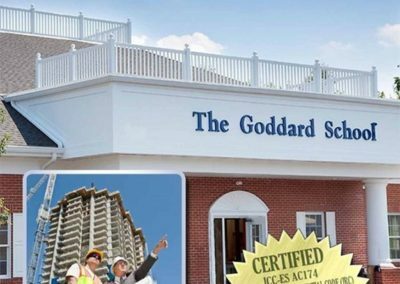 Your loved ones deserve ‘the best’.